Discover the hidden treasures of business directories. Learn to crush your competition! Get this amazing software paying only ONE TIME with Credit Card, PayPal or Bitcoins! We are sure you are looking new clients for your business. We know how hard and expensive is the process to find the best sources to get these leads and then try to filter your list before start contacting them by email or phone calls. What we made is a tool that speed the searches in the most popular business directories in all world using custom keywords and locations. It extracts all available contact data like name, address, phone/fax numbers, website url and emails. We have more information about current features of our software and a video where you can see how easy is to use this tool. What we promess to you? We will deliver an excellent product backed with a guarantee of 30 days (no questions to refund your payment), a dedicated support and multiple offers to keep you as our customer for years to come. We are no newbies in this business. Our software is very popular in more than 65 countries where we have thousands of customers. Take a look at the new awesome features of our software. 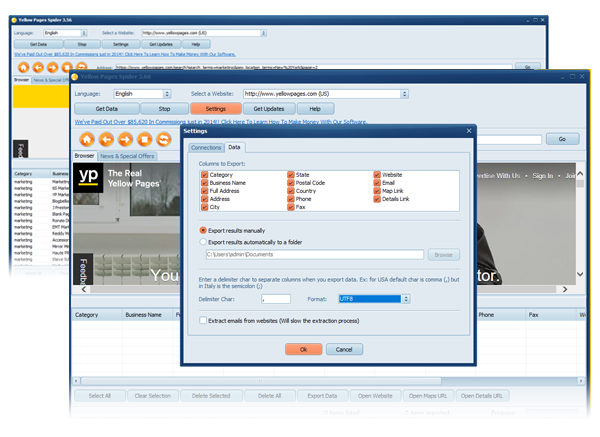 Check why we said you found the perfect tool to discover potential customers for your business. The easiest method in the market to get a list of contacts with addresses, emails, phones, fax numbers & websites after you do a search in your favorite Business Directory. Just one click in "Get Data" button and done. You get THOUSANDS of LEADS ready to export to Excel. We want that you use our tool. If you have any issue just send us an email and you will receive an answer in minutes. We give solutions not excuses. Our development team will do anything to make you move forward. Your privacy is important for us. We added settings to use yur own proxies, rotate them and simulate human interaction with the target websites using random intervals of times bewteen every request. We can also recommend some affordable VPNs for huge extractions. We now support English, French, Spanish and Italian languages in the application interface. New languages will be added soon to cover our customers in Europe and Asia! Our tool extracts leads from more than 20 different business directories in the top markets in the world. Get access to MILLIONS of potential customers in USA, Canada, UK, Germany, Italy, Spain, Netherlands, Singapore, Dubai, Australia, Brazil, Argentina and many other countries. Once you get your list of contacts, you can remove unwanted items and then you have different options to export to TXT or Excel formats. We also support multiple Unicode formats like ANSII, UTF7 and UTF8. Don't miss this oportunity to get a copy of this product with one single payment. You will receive by email a package with the Download Link, and 1 Full License that you can use to activate the software in 2 different computers. Do you want to test this tool? Try for free the trial version with all the main features. 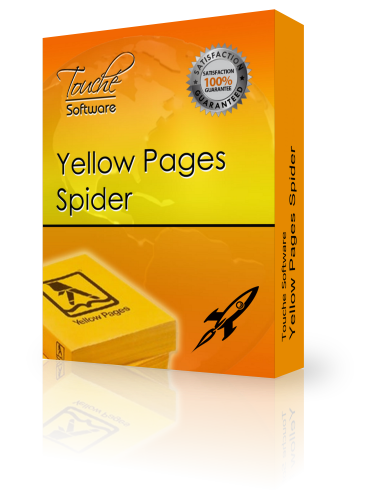 Are you ready to take advantage over your competitors that could get this software at any time? Then just go ahead, secure your copy and start extracting your leads in less than 5 minutes. No spam text. Only important messages we promise!